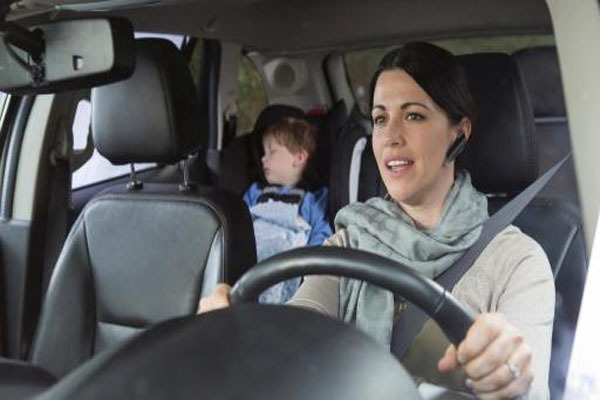 A National Safety Council public opinion poll found more than eight in 10 Americans believe cell phones are addictive, underscoring the need to help drivers kick their cell phone use habit – even hands-free. The council is launching a national campaign, Calls Kill, to illustrate that hands-free cell phones are not risk-free, and no call is worth a life. The campaign launch coincides with Distracted Driving Awareness Month, observed each April. See the full release to learn more about the campaign and see the video. Want to make sure you don’t miss releases like this? Sign up for PR Newswire for Journalists and create a free profile to have releases emailed to you about public safety, the telecom industry and other topics you cover. Get started now. “The undergraduate members of our University of Virginia Chapter have comported themselves honorably and with grace during a period of great stress and turmoil. As a result of the unfounded claims of the Rolling Stone article, their civil rights have been infringed; their characters, impugned; and the course of their education, disrupted. They were threatened with physical violence; their living quarters were vandalized; and they spent the last six months living in the shadow of flagrant falsehoods. While their conduct throughout this ordeal has been exemplary, Rolling Stone’s retraction and apology in no way address the material damage the story’s false allegations have made to these young men and their Chapter.” See the full release to learn more. Interested in receiving more higher education and publishing news like this? Sign up for PR Newswire for Journalists and create a free profile to get releases sent to you by email on the topics you cover. Get started now. 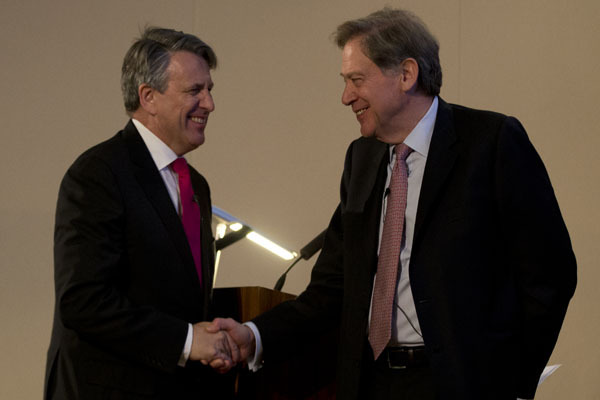 The boards of Shell and BG are pleased to announce that they have reached agreement on the terms of a recommended cash and share offer to be made by Shell for the entire issued and to be issued share capital of BG. See the full release to learn the terms of the $70 billion acquisition. Don’t miss other acquisitions and energy news like this. Sign up for PR Newswire for Journalists and create a free profile to get releases sent to you by email on the topics you cover. Get started now. US IPO proceeds slowed down to levels not seen since the first quarter of 2012 when the IPO market was rebounding from the financial crisis, with 41 IPOs raising $6.2 billion, according to IPO Watch, a quarterly survey by PwC US. This quarter’s proceeds were slightly over half the $11.0 billion raised in the same quarter last year and were also down 63 percent compared with fourth quarter 2014, which raised $16.6 billion. Capital markets in the US generally turned in a positive quarter, with both follow-on equity offerings and high-yield debt attracting strong investor interest. See the full release to learn more. Interested in receiving more press releases like this? Sign up for PR Newswire for Journalists and create a free profile to have releases emailed to you about the financial industry. Get started now. 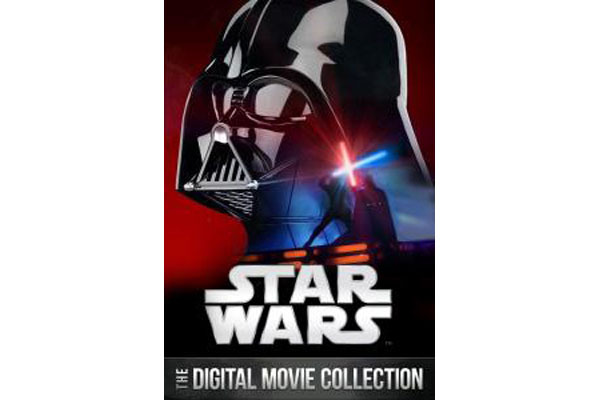 As anticipation builds for the December release of Star Wars: The Force Awakens, the first new film in the Star Wars Saga in a decade, the Walt Disney Studios, Lucasfilm Ltd., and 20th Century Fox announced on April 6 the upcoming release of The Star Wars Digital Movie Collection. For the first time ever, all six epic films in the Saga, from The Phantom Menace to Return of the Jedi, will be available on Digital HD throughout the galaxy – or at least here on Earth – globally beginning April 10. See the full release to learn more and watch the trailer. Want to make sure you don’t miss other film news? Sign up for PR Newswire for Journalists and create a free profile to have releases emailed to you about the topics you cover. Get started now.